Google and LG have finally unveiled the Nexus 5X today after weeks of consistent leaks, and as expected, pretty much everything we already knew about the device has been confirmed. 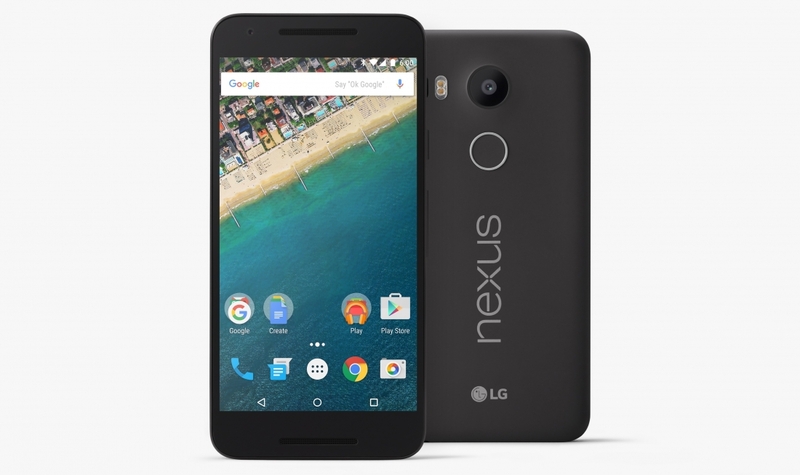 The Nexus 5X is LG's first Nexus device since the original Nexus 5 launched two years ago. It marks a return to the popular five-inch form factor for Nexus devices, after we got a single 6-inch device from Motorola last year. On the front of the handset is a 5.2-inch 1080p IPS LCD with a pixel density of 432 PPI, and internally this display is powered by a Qualcomm Snapdragon 808 SoC, the very same SoC LG used for the G4. This means we're looking at a hexa-core design with two ARM Cortex-A57 CPU cores clocked at 1.8 GHz and four Cortex-A53 cores at 1.4 GHz, plus an Adreno 418 GPU clocked at 600 MHz. The Nexus 5X surprisingly comes with just 2 GB of RAM, which is less than many other competing high-end devices such as the G4, Moto X Style, and OnePlus 2. You also get 16 or 32 GB of internal storage with no microSD card slot, and a 2,700 mAh non-removable battery. Camera wise it appears Google are trying to learn from the mistakes of past Nexus devices by using a pretty compelling camera on the Nexus 5X. The rear sensor itself can capture 12.3-megapixel images and 4K video through an f/2.2 lens, but the most impressive aspect is the use of sizable 1.55μm pixels, allowing far more light to be captured in a single image than standard 1.1μm smartphone cameras. With an f/2.2 lens and 1.55μm pixels, we're looking at a camera that features hardware similar to the iPhone 6, except with more megapixels. Unfortunately there's no optical image stabilization, but you do get infrared laser autofocus for the rear camera, and a 5-megapixel front camera with 1.4μm pixels and an f/2.0 lens. As for other aspects of the Nexus 5X, it features basically all the connectivity you'd want, including Wi-Fi 802.11ac, Category 6 LTE, Bluetooth 4.2, NFC, and USB Type-C for charging and data transfers. There's also a fingerprint sensor on the back for added security, which Google says is located "where your finger naturally falls". The Nexus 5X is available for pre-order today starting at $379 through the Google Store in the United States, Canada, UK, Ireland, Korea, and Japan, with a shipping date of "late next month". Starting October 19, the device will roll out to additional (unspecified) countries, with nearly 40 countries to get the device through the Store or local retailers in Q4.